Tributes have been pouring in as the world's first TV text service - the BBC's Ceefax - marks its 30th birthday. Launched on 23 September, 1974, Ceefax has developed an army of armchair fans from the world of news and sport. Former prime minister John Major and Newcastle striker Alan Shearer both described it as an "institution". Conservative leader Michael Howard said it was a "first-class public service". Ceefax began as an experimental service of 30 pages but now has 1,000 pages. Before the advent of the internet and 24-hour news channels, Ceefax was at "the forefront of journalism", according to BBC chairman Michael Grade. "It led the way in the breaking of stories," he added. Culture secretary Tessa Jowell described Ceefax as the "precursor to the internet news revolution". She added: "It still provides a distinct and unique service that many millions use and I wish it well on its 30th birthday." 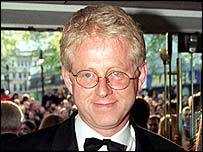 Four Weddings and a Funeral writer Richard Curtis said: "Ceefax is the only reason I know anything about what is going on in the world." He joked: "It is also, of course, the reason my children hate me. They are always in the middle of a perfectly good programme when I plunge in and cover the screen with print." Ceefax was developed by BBC broadcast engineers who were working on ways of providing subtitles for the deaf. They found that a normal television picture of 625 lines has "spare" lines at the top of the picture that could be used to transmit words or numbers. The first time the public heard the name Ceefax - a play on "see facts" - was late in 1972, in advance of the first experimental transmissions. It went live in 1974 but one of the early problems was its expense. Decoders cost more than £300 while teletext-enabled sets would set consumers back £700. But as prices dropped, demand grew. By 1985, more than two million TV sets had access to Ceefax as well as its ITV counterpart, Oracle. Ceefax now has more than 20 million viewers a week.